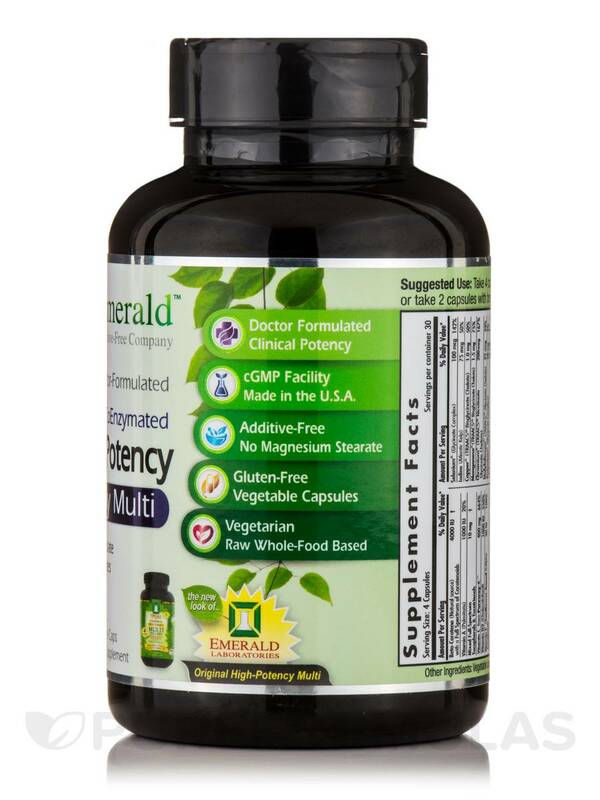 Emerald Laboratories’ High Potency Multi Vit-A-Min provides a wide array of nutrients that could potentially act to maintain overall well-being. 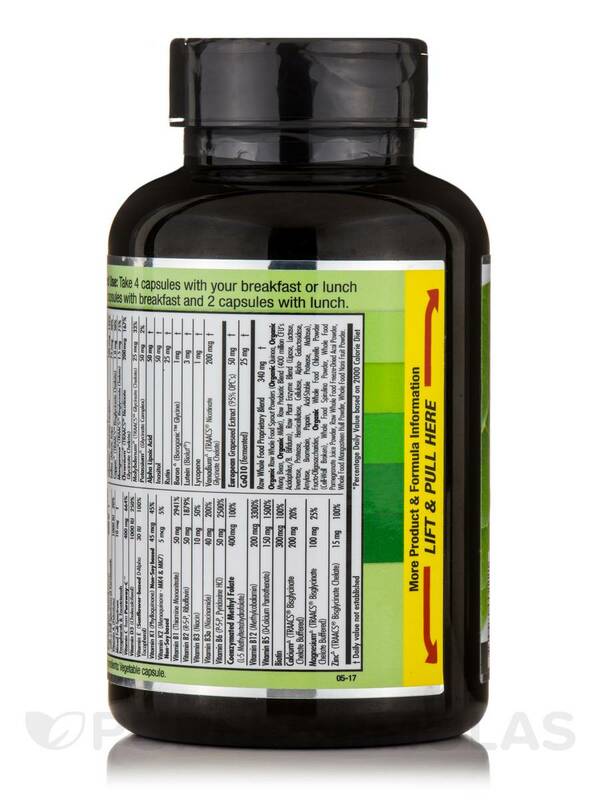 First‚ every serving of High Potency Multi Vit-A-Min contains riboflavin‚ vitamin B5‚ and folic acid because of their potential to support optimal nervous system function. 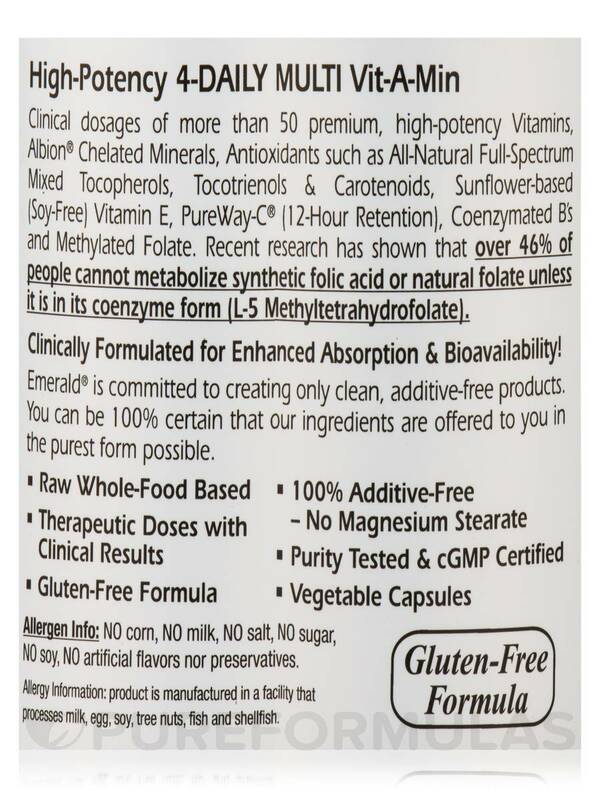 Notably‚ this Emerald Laboratories supplement provides easy-to-absorb active coenzyme forms of these B-complex vitamins. Moreover‚ High Potency Multi Vit-A-Min provides mixed carotenoids‚ tocopherols‚ and tocotrienols. Tocopherols may act to maintain cardiovascular health‚ while tocotrienols might work to protect your cells from free radical damage by serving as antioxidants. Furthermore‚ mixed carotenoids (plant pigments) may play a role in maintaining already healthy vision. 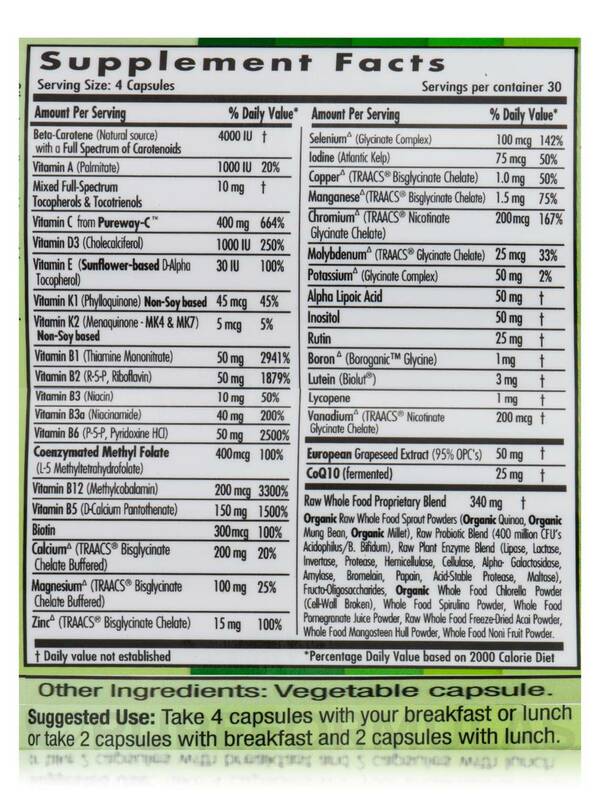 Last‚ this supplement contains zinc‚ which is a mineral that might work to support optimal immune function. 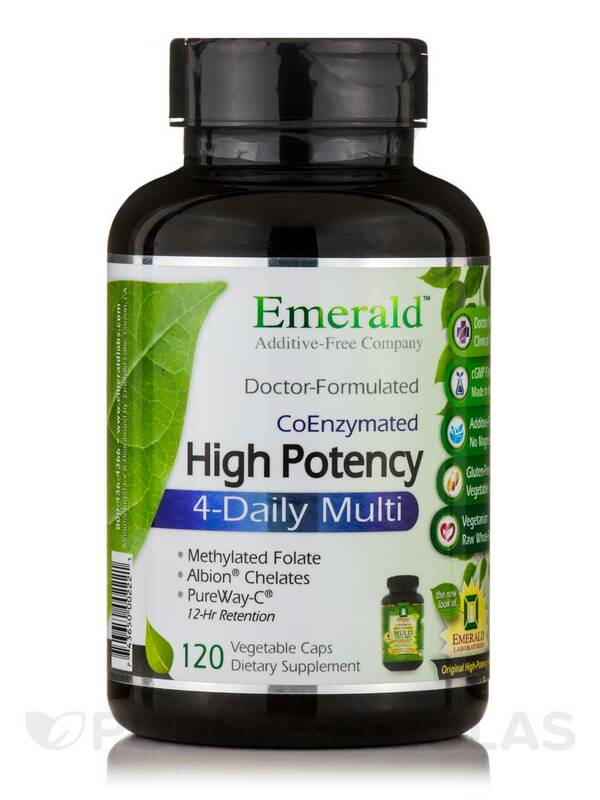 At the recommended serving size of four capsules daily‚ each 120-capsule bottle of High Potency Multi Vit-A-Min by Emerald Laboratories should last for about one month. 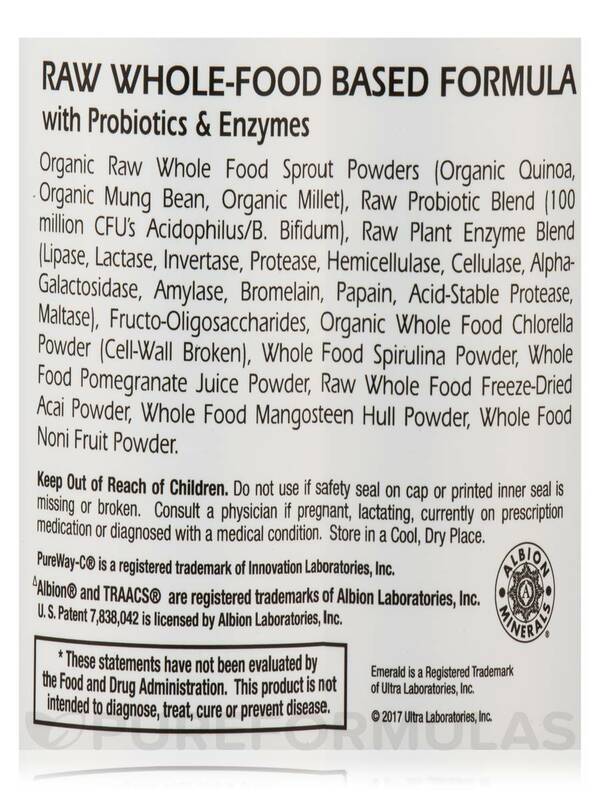 Organic raw whole food sprout powders‚ (organic quinoa‚ organic mung bean‚ organic millet)‚ raw probiotic blend (400 million CFU's acidophilus/B. bifidum)‚ raw plant enzyme blend (lipase‚ lactase‚ invertase‚ protease‚ hemicellulase‚ cellulose‚ alpha-galactosidase‚ amylase‚ bromelain‚ papain‚ acid-stable protease‚ maltase)‚ fructo-oligosaccharides‚ organic whole food chlorella powder (cell-wall broken)‚ whole food spirulina powder‚ whole food pomegranate juice powder‚ raw whole food freeze-dried acai powder‚ whole food mangosteen hull powder‚ whole food noni fruit powder. 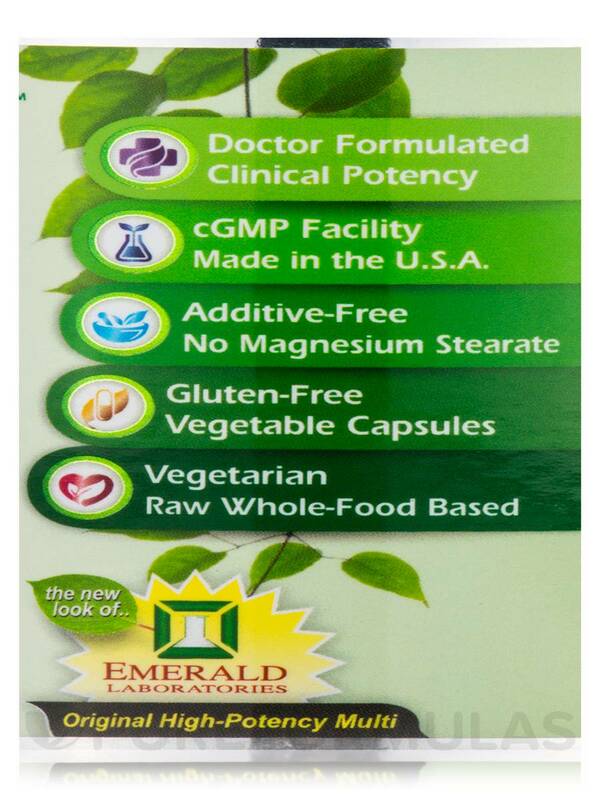 cGMP Facility / Made in the USA / Additive-Free / No Magnesium Stearate / Gluten-Free / Vegetarian. 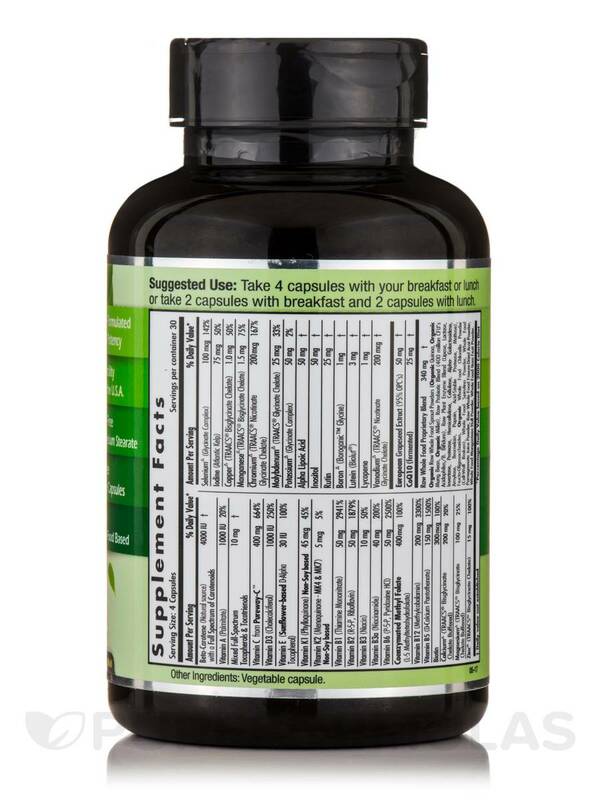 Take 4 capsules with your breakfast or lunch or take 2 capsules with breakfast and 2 capsules with lunch. This High Potency Multi Vit-A-Min by Emerald Laboratories formula is the best! 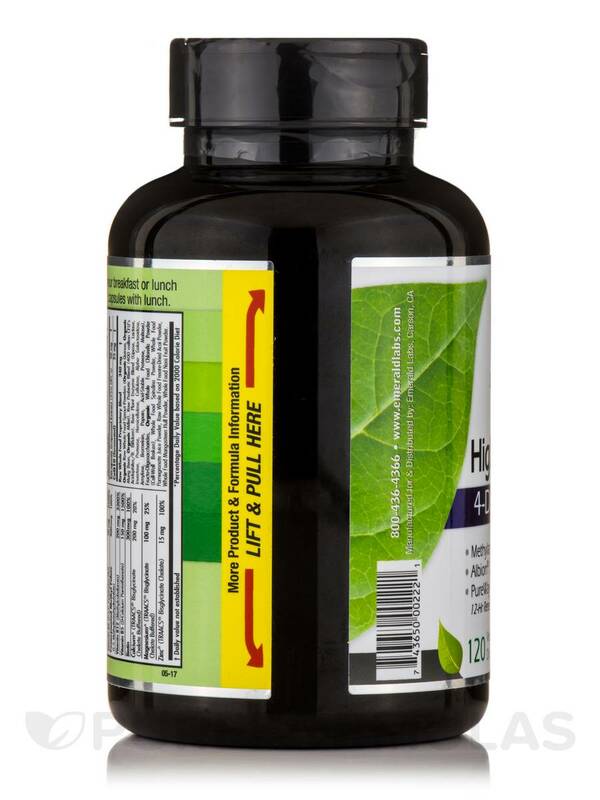 It combines raw whole foods, probiotics and enzymes to create a superb vitamin in a vegetable capsule. The combination of 4 capsules a day works well with taking 2 capsules with breakfast and 2 capsules with lunch. I have tried many brands of multi vitamin/minerals and this is by far stellar! I feel nourished and energized with the added B vitamins formula. Emerald Laboratories brand is not readily available to purchase in local stores. High Potency Multi Vit- A- Min by Emerald Laboratories has very good ingredients. I have tried many, many multivitamins through the years. The majority never help me feel better, probably because they were hard to digest & metabolize. Also many caused stomach irritation. High Potency Multi Vit-A-Min by Emerald Laboratories has been the exception. I have felt an improved difference plus they are easy on the tummy!